Massage therapy is a great way to treat physical injury, pain, or discomfort, while also promoting personal wellbeing, amongst other physical and mental benefits. Marcia Singh is a registered massage therapist in Kitchener, Ontario that offers effective massage therapy for a wide variety of needs. From those looking to relax to those requiring treatment for a physical injury, Marcia Singh can assist you in investing in your health. 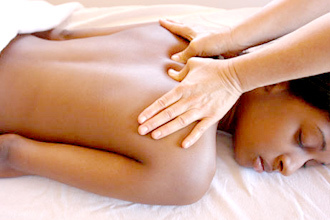 Massage therapy is one of the oldest forms of healing. Using various techniques for specific patient needs, a registered massage therapist is able to prevent, treat, and relieve pain. Not only does it target specific parts of the body, but massage therapy can improve blood circulation, the immune system, body function, as well as alleviate stress and create an overall feeling of wellbeing. Two person infrared sauna available!